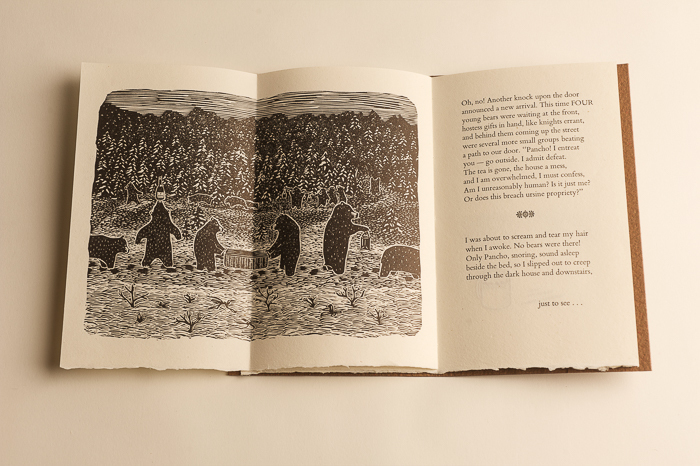 The Bears Come to Tea is a sequel to Pancho and the (non-existent) Bears. This rhyming story tells of the chaos created by my dog’s inviting his bear friends in from the forest to join us for a late afternoon cup of tea. 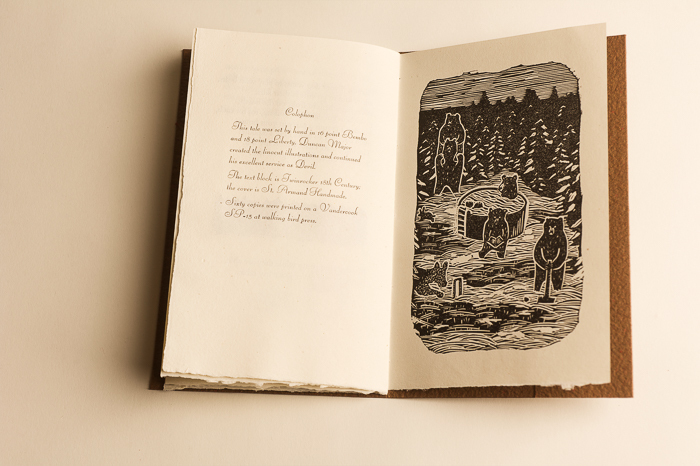 Hand-set in Liberty and Bembo, and letterpress printed on Twinrocker 18th Century handmade paper, the tale is illustrated with linocut illustrations by Duncan Major. 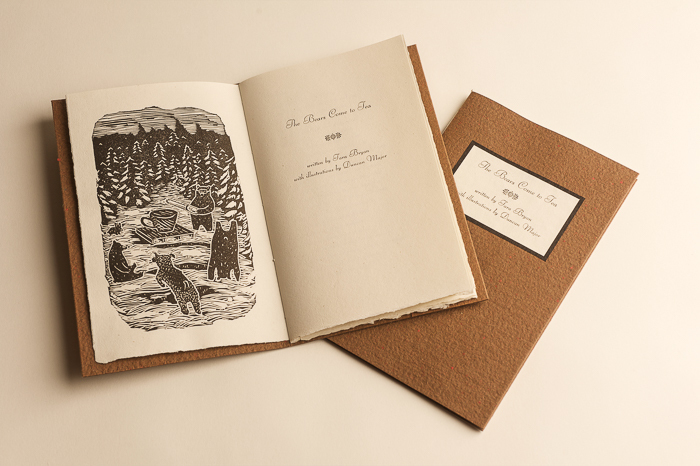 Pamphlet-stitched in St. Armand handmade paper covers, it has an applied label, and an invitation tipped inside. Edition of 60. US$75 plus shipping, and taxes where applicable.